Following the success of the internet scavenger hunt I built for the release of Pearl Jam's Backspacer, several other bands expressed interest in doing similar promotions for their own releases. 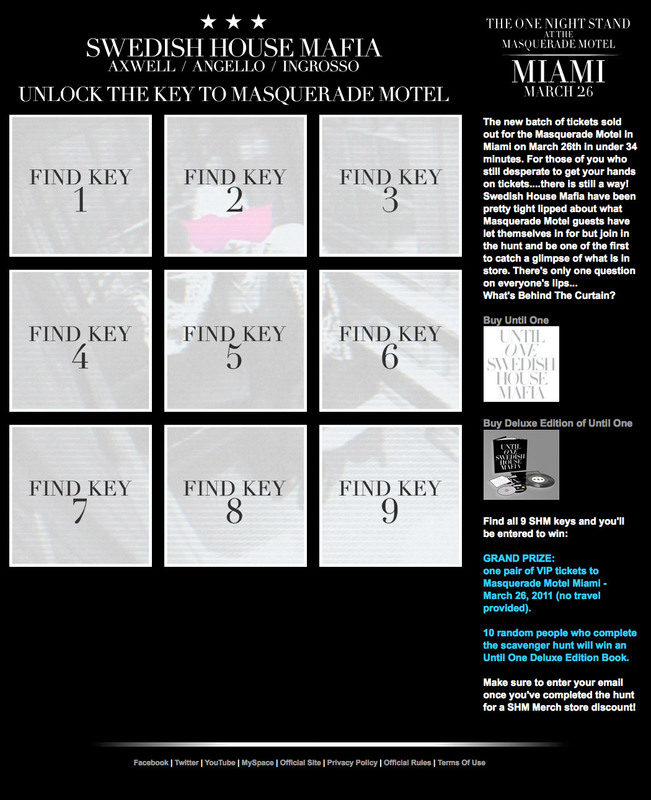 Visitors find images from the scavenger hunt on a series of popular sites, such as Rolling Stone or Spin, and by following each link are able to activate all the pieces of the puzzle. 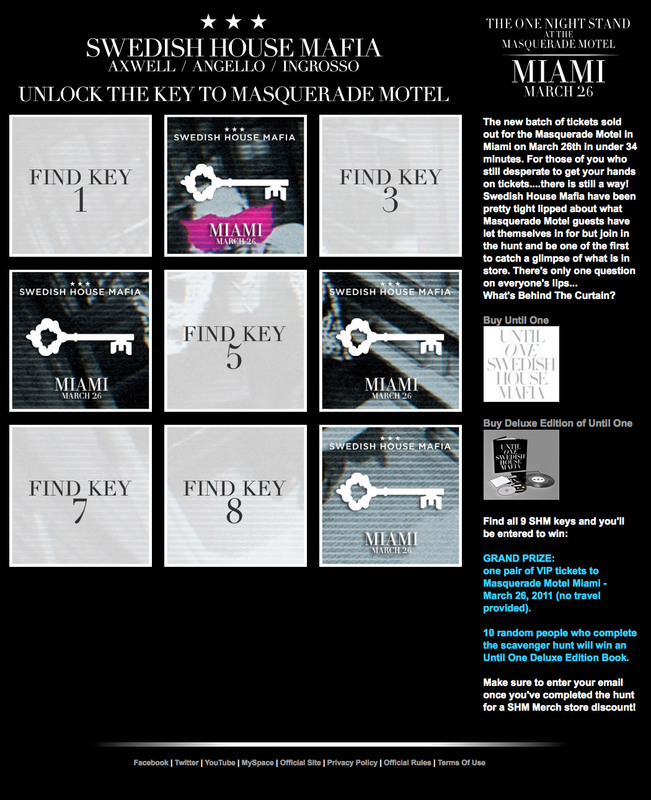 When all the pieces have been found a free song or video is displayed for download along with an entry form for a prize contest.